If the statues above look familiar to you, it might possibly be because you recognize them from a previous appearance on this rad blog in This Post. Or maybe not. 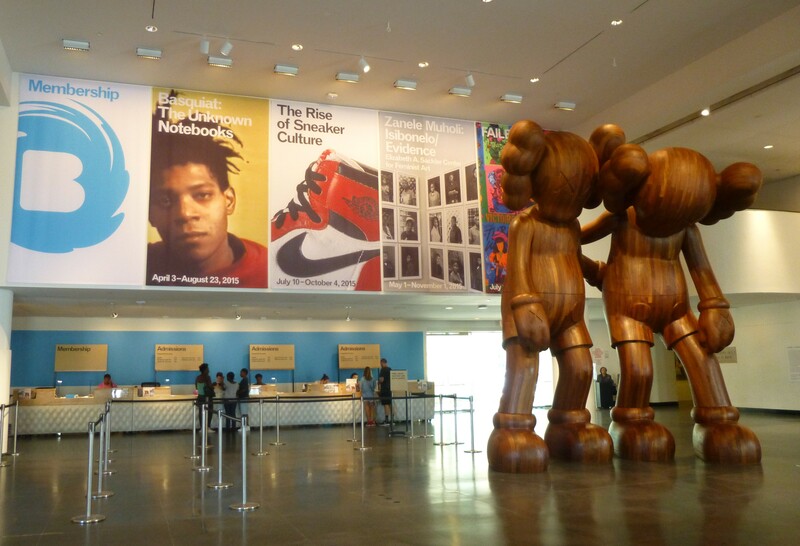 But right now, the 18 foor high sculpture, entitled Along The Way by the artist known as KAWS is hanging out in the Martha A. and Robert S. Rubin Pavilion and Lobby, 1st Floor at the Brooklyn Museum. You really can’t miss it. 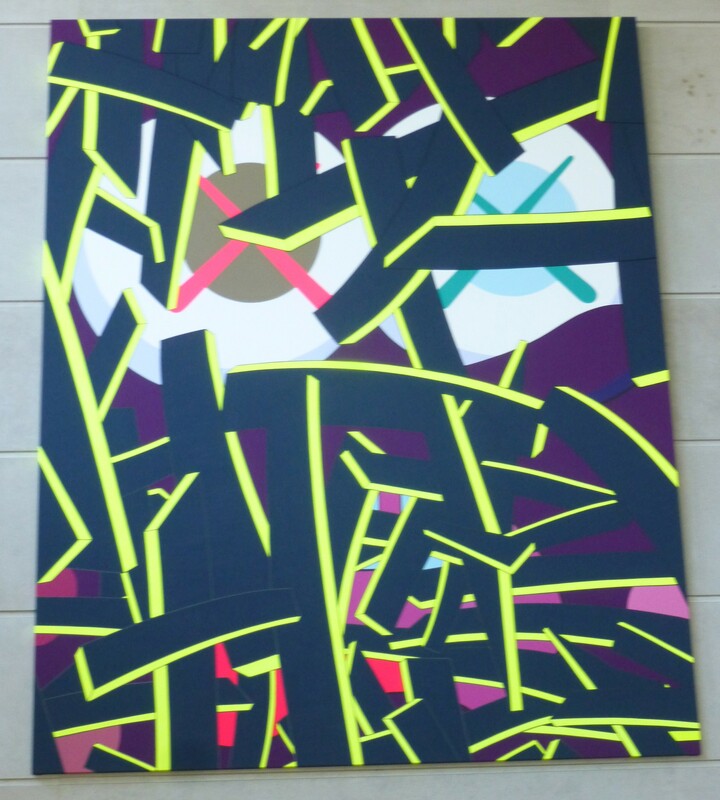 There are also a couple of his colorful abstract paintings hanging out in the general vicinity, including this huge canvas, which is called Glass Smile. And this smaller one, entitled Should I Be Attacking, which you can see, if you relax your focus, is in the shape of Charlie Brown’s dog, Snoopy. 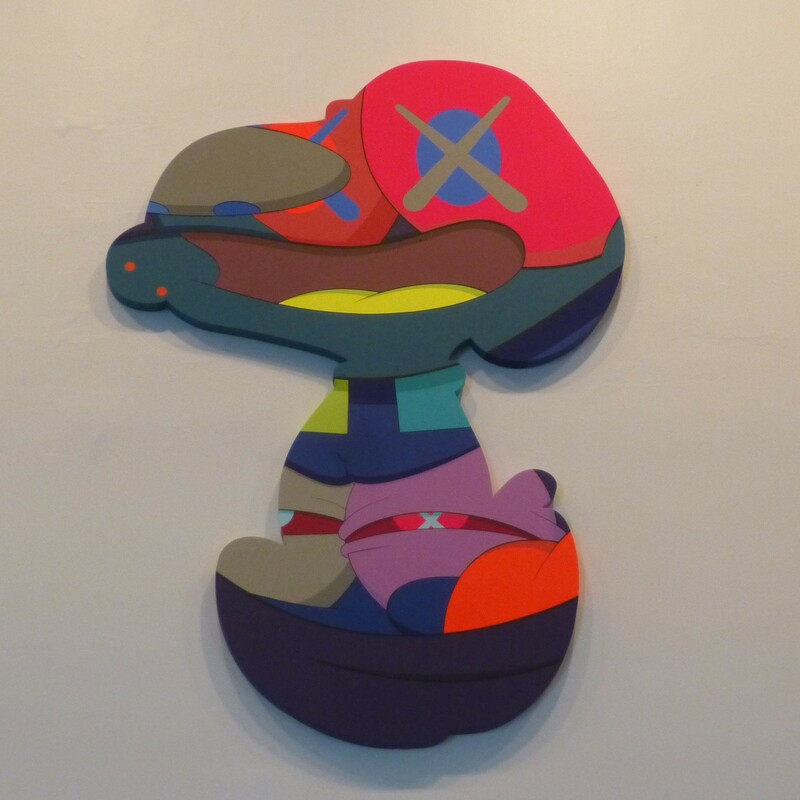 Along the Way is on Display Through December 6th, 2015.